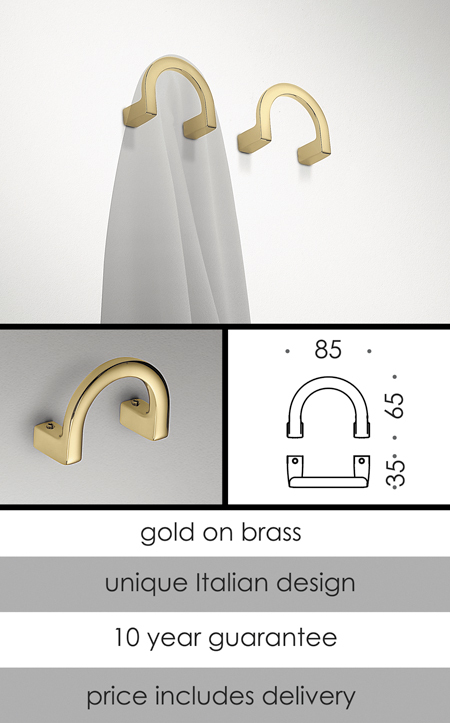 Superior Italian styling, these gold plated bath robe hooks are a lovely addition to any design led bathroom. Definitly for the style concious, these bathroom hanging hooks are part of a larger gold bathroom accessory collection. * Gold plating on brass.